One of my patients likes to say to me, “Two words: Cliff Notes,” meaning an abridged explanation is always appreciated. Some subjects, even when abridged, tend to be technical and a little lengthy, and cholesterol is definitely one of them. The big idea of this blogpost is to give you a lot of useful information that can be translated into more than just interesting facts and figures; we’ll place cholesterol and the rest of the subjects in the title into a context that helps us really understand what they are and how they fit together. From there, it’s possible to relate these subjects to our life and health—and that’s the real context that we’re all after. Shakespeare wore tights, but never was he brief. I’ll do my best to keep it as brief as possible while covering the main points you need to know about the misunderstood and mysterious subject: cholesterol. We’ll also look at the other subjects in the rather lengthy title of this post, but we’ll generally come around to relating it to cholesterol, as cholesterol seems to serve as a catchall term and entry point into things like interpreting lab reports, assessing risk status for stroke, heart disease, heart attack and of course the wildly misunderstood issue of what constitutes high, good and bad cholesterol. As we dig into these topics, we’ll run into many scientific terms and concepts. Again, it’s about getting the big idea and applying it to your life. Don’t stress it if some terms or concepts don’t make a lot of sense at first. Learning anything worthwhile takes time, and when it comes to complex subjects like cholesterol and lipoproteins, there’s a learning curve. When you consider just how much this information can positively impact your life, learning it becomes a lot easier because it’s so applicable. It’s amazing when information can help you take your life in a healthier and more empowered direction—which you’ll be able to do after reading through all that’s contained in this series of post. Enjoy! In this blogpost, we’ll explain what cholesterol is, what it’s not, and we’ll relate it to the values that show up on the lab tests that people obsess over and worry about. These days, it seems that darn near everyone knows what their cholesterol values are. They’re trying this, that and various other things to bring their cholesterol into what they’ve been told is the healthy, i.e., “normal” range. This typically and conventionally means making changes to reduce LDL and VLDL levels while simultaneously wanting to increase HDL levels. I’ll explain what these lab values really are and what you need to know about them as we go, and we’ll explore in detail why focusing on this is both important and misses the point at the same time. Here’s an important question that everyone needs to be asking: why do we want to lower some lab values and increase others? Low cholesterol is by no means healthy (it’s associated with terminal illness like cancer), and high cholesterol isn’t necessarily a cause for concern. It’s a lot more complicated than this, as we’ll see, and it just so happens to be true and definitely worth repeating: low cholesterol doesn’t mean you’re healthy and high cholesterol doesn’t mean you’re unhealthy. There are a bazillion factors to consider in determining if your cholesterol values are healthy or a harbinger of bad news, and if these bazillion factors aren’t considered, there’s no way to know what your cholesterol values actually mean. And to be sure, the cholesterol values reflected on your lab results aren’t really just cholesterol–a point we’ll soon clarify–but what’s really important to know at this point is that if you get the standard labs run for cholesterol, you and your practitioner don’t have much insight into what’s really going on with your cholesterol—or your health or lack thereof. And what this really means is that you and your practitioner really have little idea as to your risk status for things like a heart attack, stroke, atherosclerosis, heart disease, cerebrovascular accident (CVA) and the like. And that’s the bottom line for the medical profession (it’s not my bottom line, but it’s the party line of medicine): prevent these bad things from happening at all costs. It’s ironic, then, that approximately 50% of people who develop heart disease have what are considered to be healthy cholesterol labs. If this is the case, there’s an obvious flaw in the system. And there is. The point here isn’t to rip apart the medical establishment, but it is necessary to point out that the emperor isn’t wearing a white lab coat, isn’t wearing anything at all, and has been naked for a very long time where cholesterol and the conditions associated with it are concerned. A point worth clarifying: if your bottom line is to prevent bad things from happening, and if your major criteria for preventing them is to get labs to look a certain way, the entire point of life is missed. Life is a whole lot more than having your lab reports look normal. Another crucial point is that what’s considered “normal” when it comes to many lab values developed over several decades, and often the way it was done in the past hasn’t caught up to the present. In other words, what constitutes normal/healthy on labs isn’t nearly as carefully planned out and precise as you might imagine. In fact, as we’ll see, the necessary components aren’t even being tested for when it comes to assessing risk status for heart disease, heart attack, stroke, metabolic syndrome, non-alcoholic fatty liver disease, insulin issues and prediabetes, etc. And while the things that need to be tested for aren’t, the things that are tested for are largely being misinterpreted. This isn’t hyperbole, it’s just the way it is. Labs are important and can tell you a great deal about what’s going on with your health—provided the right things are being tested. The true bottom line of health becomes a combination of objective and subjective factors such as: the ability to sleep and wake feeling rested, the pursuit of personally valued accomplishments, cultivating spiritual meaning in your life, having enough energy to get through the day, feeling vital and alive rather than being in chronic physical and/or mental pain and many, many other factors. And yes, healthy labs has a place in this list. Some tend to place labs at the very top of the list, some place it near the bottom, and some fit it in somewhere in the middle. Where it ranks for you is up to you. What matters most and what will impact the bottom line of your labs is your life, per se. Again, you’re more than your labs. You’re you. You’re alive. And if your labs suggest that something’s amiss, you gotta change something about you. You gotta have a look at what you’re doing with your life. Sure, change your diet. Sure, get more exercise. Or get less exercise if you’re killing yourself with too much of it as it is. But get more in touch with who you really are and what the meaning and purpose of your life is. This will reflect on your lab status in a big way. A point we’ll get into as we go is the idea that most diseases and health issues are genetic. This cannot be the case, for if it were, we’d not see such a radical shift in the incidence rates of the most common diseases, e.g., heart disease. Said differently, if you look at the t below, you’ll see that heart disease incidence has shifted dramatically since 1900, as has cancer. What hasn’t shifted dramatically since 1900 is the human genome. It’s exactly the same. What has shifted, however, is which genes are and which are not expressed. What controls that? Epigenetic factors. Epigenetic factors are the influences that turn your genes on and off. What’s the biggest epigenetic factor of all? Your emotional state. That’s why being stressed out and emotionally unhealthy will lead to all manner of health issues. It’s not just new-age mumbo jumbo, it’s the way it goes. I hope this clarifies what I mean when I say that my bottom line isn’t what’s reported on your lab reports. Many people have healthy-appearing labs while leading lives fraught with anxiety, fear, depression and all manner of physical symptoms, and the opposite of this is equally common. I know this from having worked with thousands of clients through the years, and they’ve taught me well. Your emotional state is the most powerful of all epigenetic factors. Let’s get more acquainted with cholesterol, because the way in which the term is used by patients and health care professionals alike stems from a misunderstanding of what it really is. The majority of the cholesterol in our bodies is made by our bodies, and is therefore known as endogenous cholesterol (something that originates outside the body is exogenous). It’s made by the liver, the small intestine, and can be manufactured by every cell in the body, as every cell in the body requires cholesterol for a bunch of important functions. Every cell can make cholesterol, but the liver—that chronically overachieving Type A organ—is the only organ that makes more than it itself needs and altruistically exports it freely for any other cell to use. 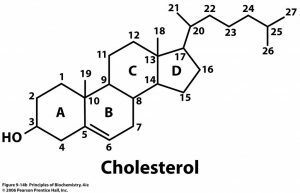 For those of you who’re more nerdy and therefore find little factoids to be a pleasant distraction from the grind of ordinary reality, this is for you: there are two types of cholesterol—esterified and unesterified. When we break the word cholesterol down, we’ll see it comes from the Greek chole- which translates as bile, and stereos which means solid. The suffix -ol is added to the end of the word to denote that it’s considered to be an alcohol. So it’s a solid bile that’s classified as an alcohol. And it’s either esterified or unesterified. Esterified cholesterol is what we ingest when we eat things like eggs and butter; unesterified cholesterol is the cholesterol our bodies make. Don’t be terrified of esterified cholesterol; we’ll see that there’s nothing to be afraid of. 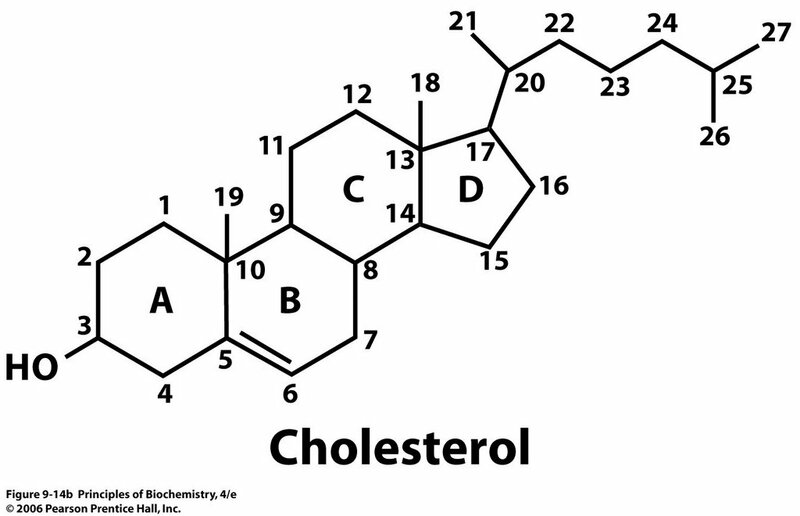 If you look at the word cholesterol, you’ll see the word ester imbedded within it. Cholesterol. An ester is a chemical compound in which a hydrogen atom has been replaced by what’s known as a hydrocarbon—carbon(s) attached to hydrogen atoms. Esterified cholesterol is almost entirely eliminated in the stool, as we can’t process it and make it what it needs to be in order for us to effectively use it. What does that tell you? It tells you that eating cholesterol doesn’t increase your cholesterol! If the majority of the cholesterol we eat is eliminated in the stool because it’s esterified, it doesn’t raise your cholesterol levels. It can’t, it won’t, it doesn’t. So if eating animal products that are high in cholesterol doesn’t raise our cholesterol, what about eating plants? Does eating plants raise cholesterol levels? No, it doesn’t, because plants don’t contain cholesterol, whereas all animals do create and contain cholesterol. As one who bought the “cholesterol is bad” party line hook, line and sinker as far back as 1990, I took the bait and became vegetarian and then vegan and rode it out for ten years. Like many, I too believed that plants are healthier for us because they don’t contain cholesterol and all those dastardly saturated fats, while animal products do. While it’s true that plants don’t contain cholesterol, it doesn’t follow that living on plants and avoiding animals will lower your cholesterol. Really? Really. Plants produce cholesterol-like substances called phytosterols, and phytosterols are considered to be more atherogenic (cause hardening of the arteries) than animal-based products. Really? Really. Nuts, whole grains, fruits and vegetables contain phytosterols. Flax seeds, wheat germ, almonds, pistachios, walnuts, macadamias, broccoli, corn, lettuce, Brussel sprouts and lettuce are a few examples of plants that are high in phytosterols. Obviously, then, seed and vegetable oils are high in phytosterols as well, as they’re (unnaturally) concentrated plant juices. Things with phytosterols are typically high in Omega 6 oils as well, something you’d do well to watch your intake of. Don’t kill me, I’m the messenger of good news, but good news is often met with stiff resistance. Freud? Sigmund? Is that you? (Freud coined the phrase unconscious resistance in the early 1880’s after observing that every one of his clients resisted accepting and doing the things that would actually set them free of their problems, thus allowing them to live happier, healthier lives. Pointing out this inconvenient truth didn’t exactly make him poplular). Thus far, we’ve been having a look at cholesterol, not fat. Cholesterol contains no fat; Jack Spratt therefore ate heaping helpings of cholesterol, whilst his wife gorged herself on triglycerides. Triglycerides = fat, and fat and cholesterol are not the same, and they’re not handled the same way in the body. They’re as different as night from day, but they hang out in the same circles and have the same friends. That was a little joke, as they hang out in the same lipoproteins, and lipoproteins are little spherical things. Circles. Oh this fun with cholesterol! If Dr. Seuss had known all this, his lovely book Fox in Socks would have contained a few pages dedicated to sterols in barrels—and he would have liked green eggs and ham right from the get go. Moving right along…cholesterol isn’t fat, triglyceride is fat. They’re different, and we’ll get into their differences quite a bit as we go. They’re both important lab markers, and when they’re properly interpreted, can help you tweak your intake of macronutrients, i.e., fats, proteins and carbohydrates. I’ve written about this in other blogs, so won’t belabor the point here, but it’s true: you can, with patience and diligence, learn how to optimize your dietary intake of macronutrients when you really get in touch with what a good set of labs reveals. More on that as we go. Do The Cholesterol Boogie, Baby! If you like being able to move around rather than being stuck in one place like a tree, thank cholesterol. Really? Really. Animals have cell membranes whereas plants and most bacteria have cell walls. The difference is obvious: trees and plants stay in one place, and if a tree should happen to touch it’s uppermost branches to its roots, it tends to break apart. This is why trees don’t do yoga. Apparently most bacteria aren’t yoga aficionados, either. Animal cell membranes are fluid and flexible while cell walls are more rigid. I’d be willing to bet that John Travolta’s body produced copious amounts of cholesterol to allow his cell membranes maximal fluidity during the filming of Saturday Night Fever. What I meant to say is that it’s important to have plenty of cholesterol in exactly the right places and not in the wrong places. For example, approximately 30% of our cell membranes are comprised of cholesterol. Without getting into detail, cell membranes are enormously important for health; not having enough cholesterol for cell membranes would be a real problem. There’s a lot of cholesterol in the brain as well—about 25% of a person’s cholesterol resides in the brain. Obviously, then, this cholesterol that we’ve been taught to fear isn’t such a bad molecule after all. Misunderstood, but certainly not bad. Where all the misunderstanding came from is something we’re getting to, but we’ve got some gaps to fill in first. If every cell creates cholesterol, we can apply a little deductive reasoning and figure out that it’s probably pretty darned important to our health and well-being. And it is! Without cholesterol, more complex life-forms such as mammals would simply not exist. Cholesterol is incredibly important, and we can’t live without it. In fact, low cholesterol levels indicate a serious, potentially life-threatening health condition such as cancer—you don’t want low cholesterol. In fact there’s more cholesterol than any other organic constituent than glucose. Inorganic constituents of blood are things like oxygen and potassium; organic constituents include things such as cholesterol, glucose, LDL, HDL and amino acids. For as important as cholesterol is and all the fuss that’s made over it, you’d think that we must have several pounds of it floating around in our bloodstream and clogging the works of every cell. Surprisingly, we have somewhere around 30-40g total of cholesterol in our bodies at any given time. That’s it—less than 1.5 ounces total. And again, the majority of the cholesterol in your body was made by your body, i.e., unesterified (endogenous) cholesterol. If you eat bacon, eggs, marbled grass-fed beef and quaff a quart of raw milk every day, your body will take what cholesterol it can from your ingested sources and excrete the rest in your stool. The more cholesterol you eat, the less your body will create and vice versa: the less you eat, the more your body will make. I’m going to make this point over and over: cholesterol is necessary for life, and it’s very important to realize that darn near everything that everyone believes to be true about cholesterol just ain’t so. In February 2015, reversing decades-long recommendations, the USDA Dietary Guidelines Advisory Committee recommended repealing the guideline that Americans limit cholesterol intake, because dietary cholesterol intake has never correlated well with serum cholesterol levels. This recommendation is a far cry from public opinion on the subject of cholesterol! Let’s not miss the point: the reason that the recommendation was made is because serum cholesterol levels don’t correlate with the amount of cholesterol that you eat. Esterified (dietary) cholesterol isn’t absorbed; high cholesterol is indicative of other issues, and reversing this guideline would be a step in the right direction toward clearing up a major misconception about cholesterol. How Much Cholesterol Do I Need To Eat/Not Eat? None. Zip, zilch, zero. How much do I need to avoid? Again, none, zip, zilch and zero. Really? Really. Remember that we said there’s a night and day difference between cholesterol and triglyceride, as this is the conversation we’re really needing to have and that we’re going to get to soon enough. Our bodies don’t appreciably absorb dietary cholesterol, i.e., esterified cholesterol, and will therefore eliminate what’s not needed in the stool. Interestingly, we can’t break cholesterol down once we make it. It takes a lot of energy to make cholesterol, and once we do, we hold onto it. We can eliminate exogenous cholesterol, but can’t dismantle the endogenous cholesterol molecules that are made within our bodies. A way of interpreting this interesting fact is that we need cholesterol, so we don’t have a mechanism to break down “excess” cholesterol. There are many things for which humans have no elimination pathway; iron is but one example of something that the body holds onto like a magnet (sorry), and therefore has no appreciable means of eliminating, certainly not quickly. You don’t need to eat cholesterol, but here’s the real point: you don’t need to avoid it. 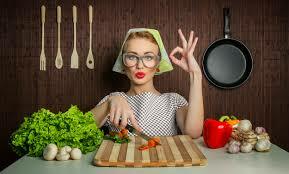 There are many vegetarians and vegans with high cholesterol. Yes, it’s true: there are many people with high cholesterol who don’t eat cholesterol. Conversely, there are many people out there with “healthy” cholesterol who eat eggs and beef. Plants don’t contain the cholesterol, yet their phytosterols can interfere with cholesterol handling. You’d think that I’m picking on those poor plants, but I’m not—I’m just the messenger. Did you know that phytosterols are actually toxic to humans? Really? Really. Anyway, the conversation that’s really important to have here is in regards to how much triglyceride you should ingest, and how much of it should be saturated and/or unsaturated. Ingesting too much triglyceride, i.e., fat, especially if you regularly imbibe mass quantities of carbs and protein, can and will cause all manner of health issues that will then get blamed on cholesterol. 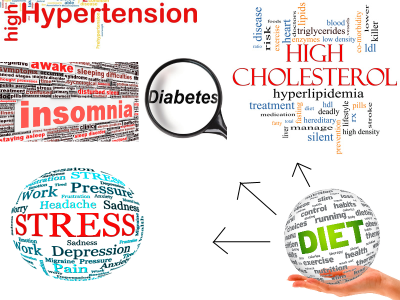 We’re going to look at this topic in detail, but we’re first going to have a look at how stress influences cholesterol. To fully appreciate what leads to cholesterol issues, we’re going to have to look at factors that aren’t typically discussed: your emotional state and how you feel about your life. Let’s shift into this critically-important topic, then we’ll get into saturated and unsaturated fats and what that means to your cholesterol readings and your health per se. You’re probably familiar with the concept that stress is a double-edged sword. Some of it gets you moving and even motivated to take constructive action, but an excess of it will literally destroy your health and cause you to make choices you’ll forever wonder how you ever went about making. What may not be so clear (what we see but see not) is that high stress will also negatively affect cholesterol and triglyceride values on your lab reports. As inconvenient as this reality is, it’s beyond dispute: stress the single-biggest contributor to every health issue there is. Without fully opening the can of worms that is the unconscious, but rather just having a peek into the can—the real issue here is that everyone is unconscious unto themselves, and therefore can’t necessarily recognize the extent to which they’re stressed and the extent to which stress is affecting them. Until anyone can get deeply and honestly in touch with themselves, change remains impossible. My point here is that the vast majority of people I’ve worked with are far more stressed than they realize; they’re also a lot more resistant to discovering this than they would like to imagine. This applies equally to the person who’s as cool as a cucumber and to the flying-off-the-handle-hothead. The cool cucumber often denies their stress in favor of an it’s all good persona and therefore they (and everyone else) assumes they’re getting along just fine when they may be really, really stressed inside. The hothead is an exposé of what stress looks like to everyone but themselves: I can’t tell you how many hothead personalities (who’re obvious stress-cases) will tell you that they’re not stressed-out at all when just being in their presence is stressful to everyone else. The challenge is that emotions and psychology per se aren’t easily studied in a laboratory environment, and thus can’t be quantified and demonstrated on a lab report with any degree of accuracy. Doctors aren’t trained to talk with you about your life, your dreams, aspirations, your perceived shortcomings, how you relate to your childhood experiences, how you perceive yourself in your social order, if you like your job and find it fulfilling and if you feel that your marriage is a good fit for you. In fact, we’ve been trained to stay away from such subjects like the plague and instead be doctors, i.e., talk about labs, procedures and outcomes. But the fact of the matter is that being a doctor is an art, and it’s one that’s all but lost. Figuring out what’s really going on with a patient without reducing them to statistics and fitting them in a box devoid of variables is to miss who they are as a person. People aren’t a bundle of biochemistry to be treated pharmaceutically. This approach treats the body without considering the significance of the mind and spirit, and this approach clearly misses the point, as evidenced by the massive healthcare crises all industrialized nations face. Stress causes blood sugar dysregulation, i.e., high and low blood sugar. Blood sugar dysregulation brought on by stress leads to to hyperinsulinemia, which is when increasing amounts of insulin are required to handle yo-yoing blood sugar, which directly leads to yo-yoing cortisol, epinephrine and glucagon levels to raise the blood sugar that insulin is chronically lowering. This is the greatest stress there is: controlling blood sugar in the face of chronic stress. If you get anything from this blogpost, recognize that being stressed makes you old and predisposes you to all manner of health problems. Adrenal fatigue, metabolic syndrome, fatty liver disease, cholesterol and triglyceride issues, weight and obesity issues, cardiovascular conditions, immune and autoimmune issues, gastrointestinal problems, poor decision making and the list goes on…are all exacerbated and/or directly caused by stress. Low cholesterol doesn’t mean you’re healthy and high cholesterol doesn’t mean you’re unhealthy. What a “cholesterol test” measures is not cholesterol. It’s the mass of the lipoproteins that carry both cholesterol and triglycerides (TG). Lipoproteins are a way of packaging fats to carry them in water-based blood. Triglycerides (TG) are fats. There are the ones you eat, and the ones that your liver makes when you eat too much of anything (carbs, protein, and fats). Your body needs cholesterol. Cholesterol gives flexibility to the membranes of every one of your cells, which is what allows you to stretch and move. Your liver will manufacture cholesterol (unesterified, endogenous cholesterol) if you don’t eat enough of it (esterified, exogenous cholesterol) or if it needs the other kind. Animal products contain variable amounts of cholesterol. Plant oils do not. Plants do contain phytosterols, which are sort of similar to cholesterol. Phytosterols contribute to atherosclerosis (hardening of the arteries) more than cholesterol. Phytosterols also interfere with your body handling cholesterol, and they’re generally high in omega 6 fats, which are generally too abundant in the diet. You do not need to avoid cholesterol. Your body will excrete any cholesterol you eat that it doesn’t need. So eating less cholesterol will NOT lower your cholesterol lab numbers. And lower cholesterol numbers are not necessarily better for you. Stress will negatively affect your cholesterol labs in a big way. Most people aren’t aware how stressed they really are. Thank you.. Very Helpful . I remember Depok saying that high cholesterol does not equate to heart problems decades ago. (I eat baskets of eggs.) I appreciate that you refer to the epigenetics… So simple, and perhaps too simple for some dr’s to grasp.